Our pup is a member of our family, so it’s important that what we feed him is good for him. I really appreciate brands like today’s sponsor, TopDogFoods, who make dog treats with our dog’s health in mind. Just like people, not every dog is alike. Of course there’s different dog breeds (to be exact) and doggie personalities, but dogs also have different health needs. Our Baxter is full of… personality. He is the funniest dog we’ve ever had, for sure. Being a Shih Tzu (which means Little Lion, by the way) makes him prone to certain diseases and health issues. Although he’s a healthy dog, I am aware that genetically, he could develop certain things just because of the breed of dog he is, like allergies. 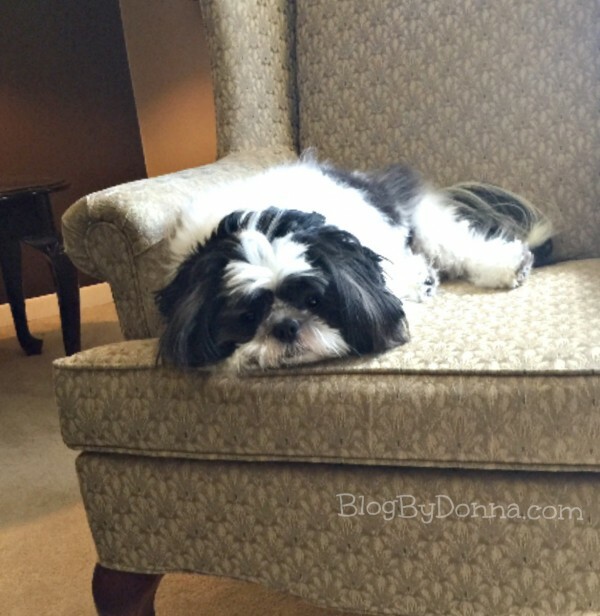 Allergies is a common ailment in Shih Tzus. We love rewarding our pup with a few treats throughout the day, but it isn’t always easy to find treats that are good for dogs with or prone to allergies. 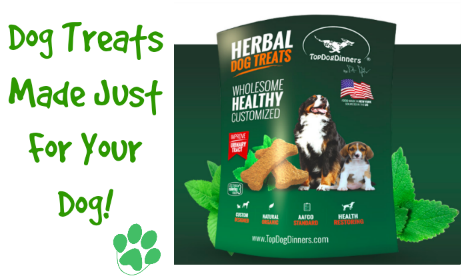 TopDogDinners Herbal Dog Treats is a great choice for us. All natural and organic US sourced ingredients USDA approved for human consumption. ZERO by-products, fillers, preservatives, chemicals, corn, artificial coloring, GMO’s, “meals”, gluten, wheat. Freshness, quality, convenience, and full customization. Unique software combined with scientifically developed recipes resulted in unique dog food customization concept. Dogs’ health improvement, savings on visits to the vet. Dog treats you can really feel good about giving your pup! These common ailments, disorders, and diseases that many dogs suffer from or prone to developing, can be helped with a healthy lifestyle. 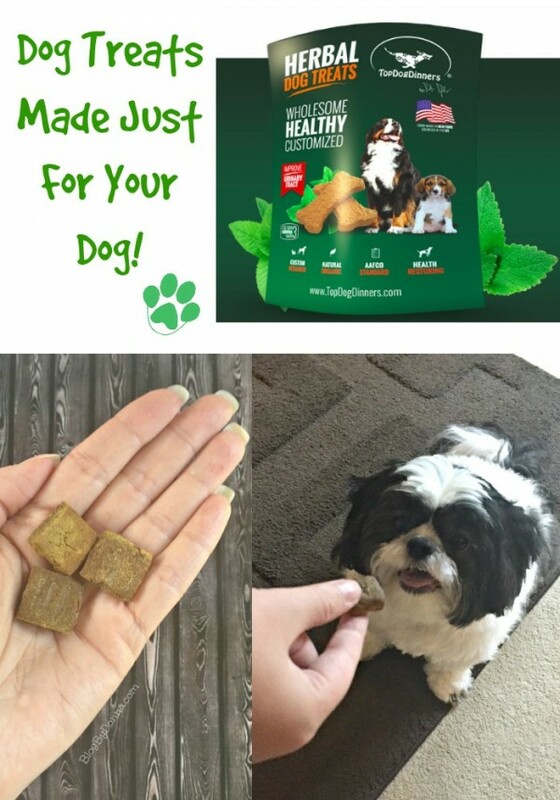 Make sure your pets get plenty of exercise, regular vet visits (immunizations), lots of clean water to drink, and dog food and treats that will help promote their healthy lifestyle like TopDogDinners Herbal Dog Treats. We love our dog very much and want him to be around for a very long time, so it is important what we feed him. 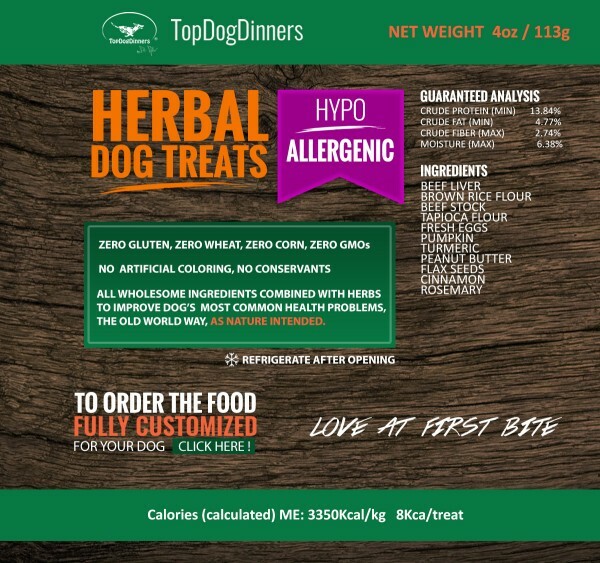 If your dog is important to you like our Baxter is to us, check out TopDogDinners.com to learn more about their dog treats, and other products, and how they are tailored just for YOUR pets. I had no idea dogs could have allergies, never experienced it or had to cater to my pets like that. It all makes sense now that I have been exposed to this, after all we know of humans with food allergies so why not animals.